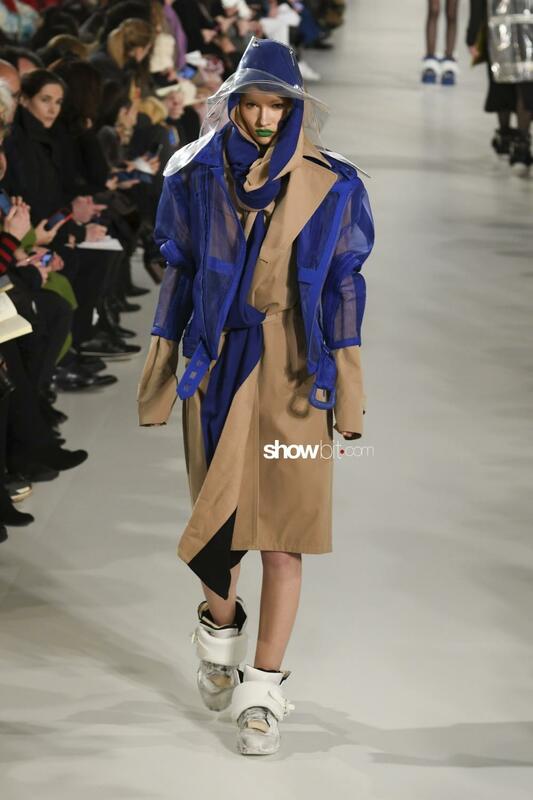 Many are the powerful codes that John Galliano conferred to Maison Margiela since his arrival three years ago. If last season the concept he gravitated around was “dressing in haste“, now it became “dressing in reverse“: “I love the idea of exploring. 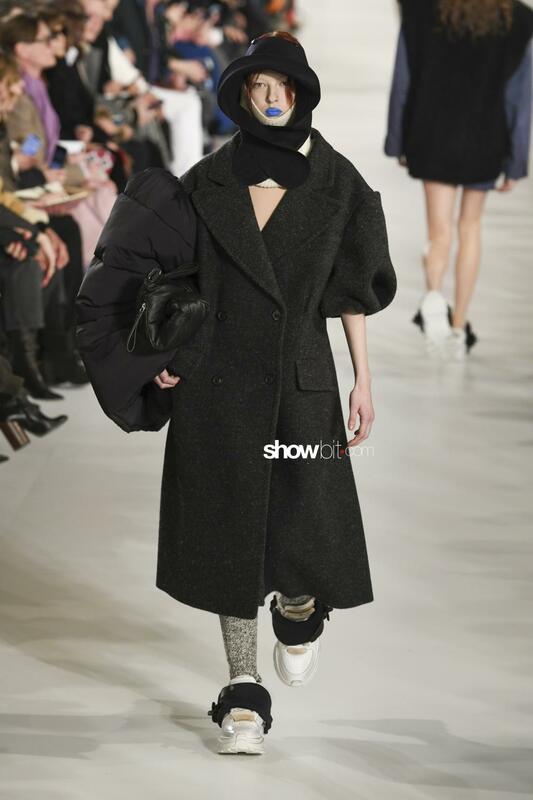 The first layer is your coat, and then you put your blazer on top, and your blazer can double-up as a new dress, then on top of that you put a jumper,” Galliano said backstage at his fashion show. 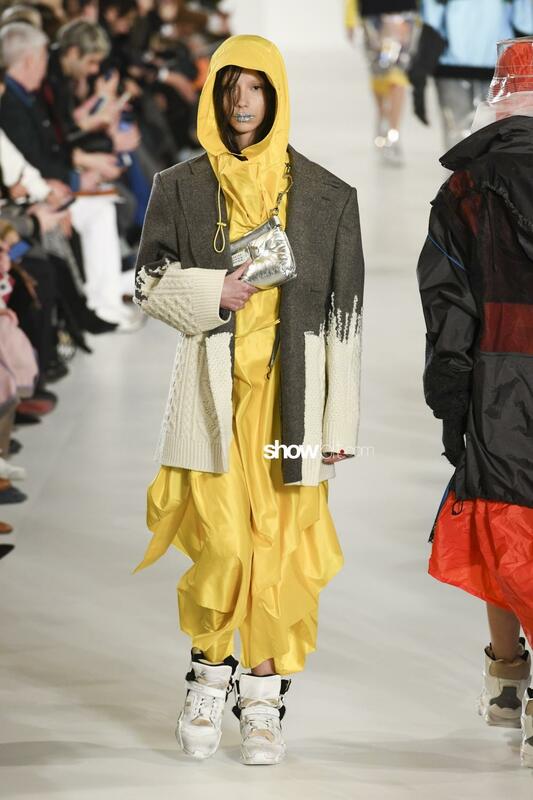 The result looks like an accidental layering mistake due to our modern chaotic lives; a wanton appearance, yet actually everything in Galliano is profoundly and meticulously studied to explicate a significant message. 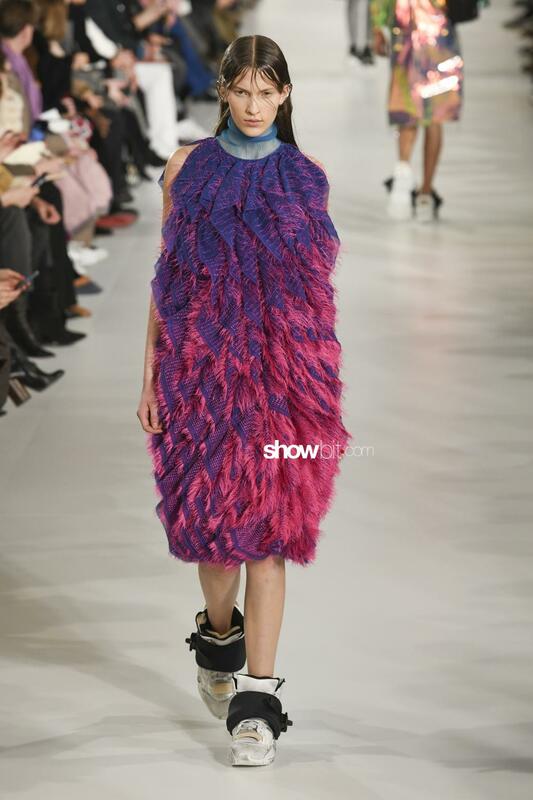 After all, if fashion can reflect the Zeitgeist, the Galliano’s upside-down fashion doesn’t look so weird when climate, politics and everything else has turned bottom up. 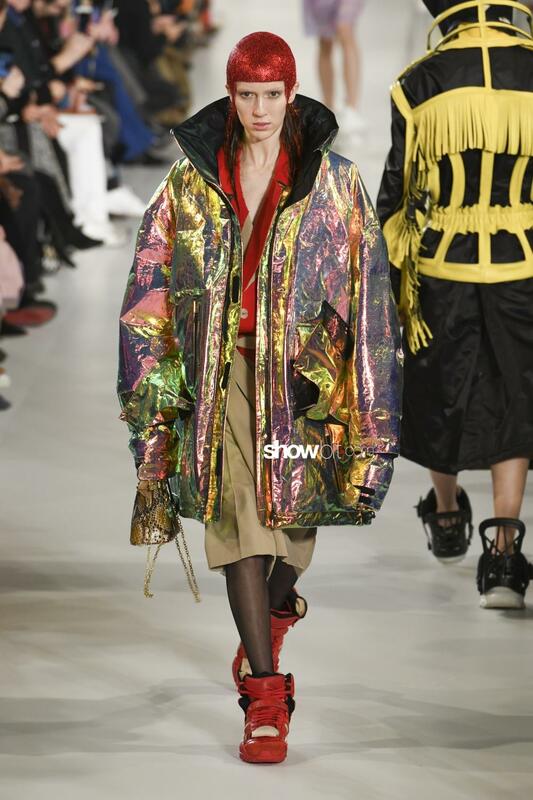 Layerings of every type of protective garments sound like a call for an army, like an apocalypse was imminent and Galliano wanted the women to be perfectly prepared to it. 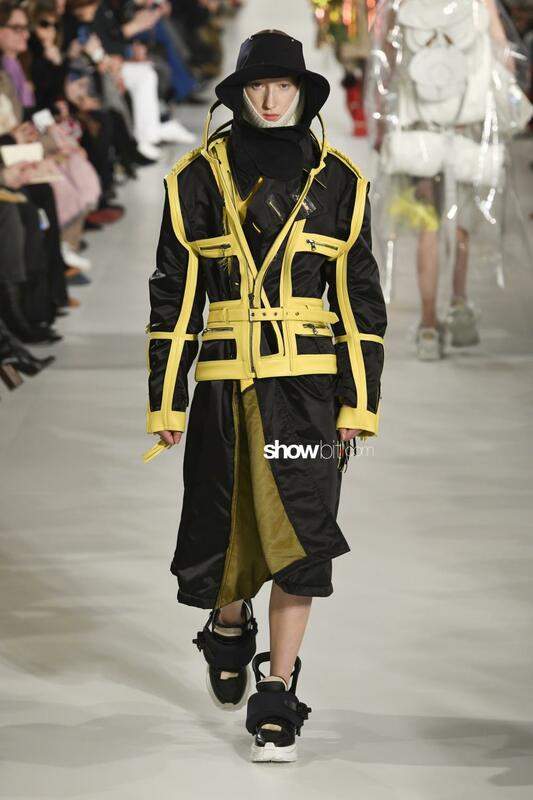 Some other useful tools: his iconic SMS – the Security Margiela Sneakers -, plastic protective headwear and a single puffed enormous sleeve that looks like a shield. 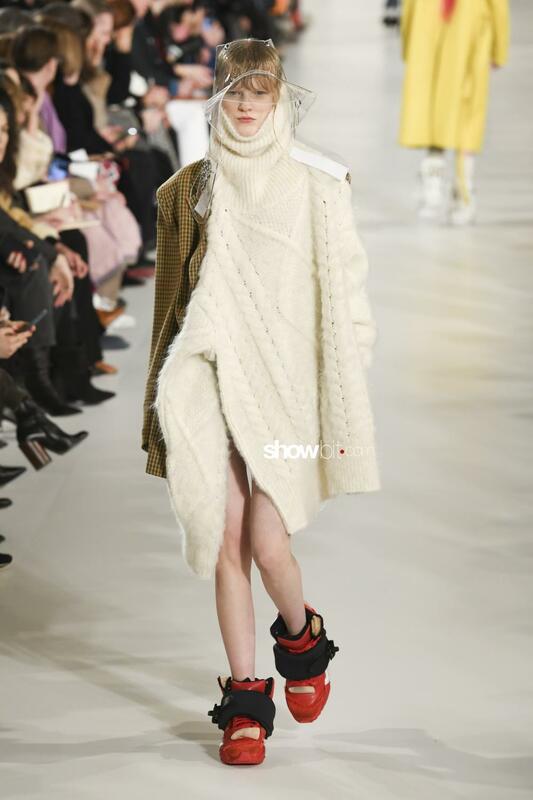 His fashion’s pillars – as the décortiqué, the “unconscious glamour” and the “dressing in haste” approach – are then applied on puffed parkas, jackets, coats and – of course – the perfectly tailored tweed Savile Row descendants, that are here transforming into an unbalanced Aran sweater. 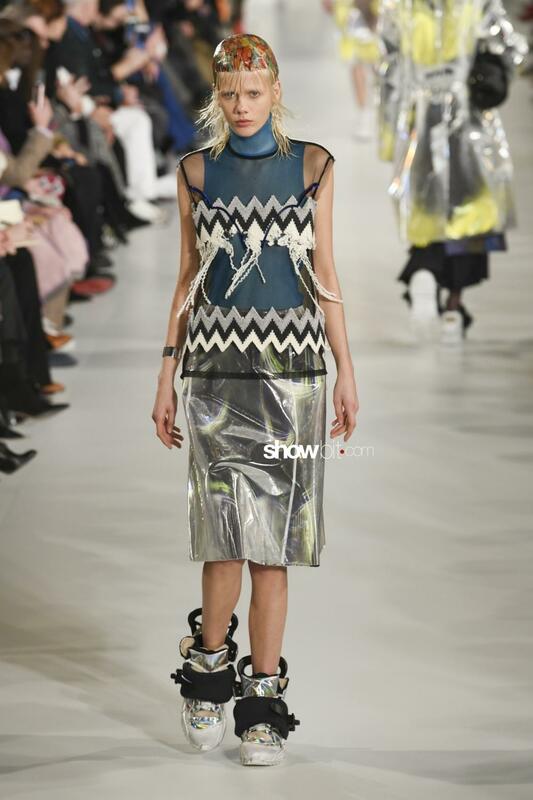 Disgregation is also in chevron knits that are brought to the verge of laddering themselves.